It’s FREE, helps support the service and you get two newsletters a year. Saturday 30th August 2014 – 10am – Chris Kowalik. 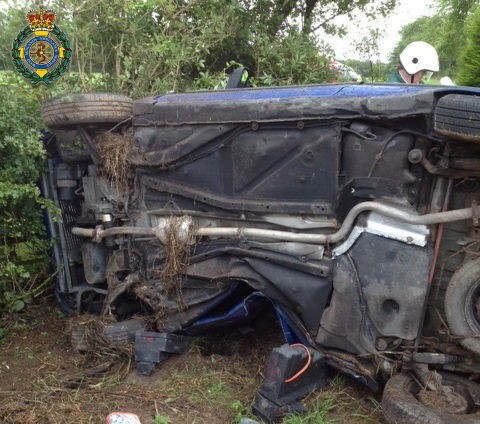 A man has been seriously injured after the car he was driving left a main road and overturned in north Worcestershire. 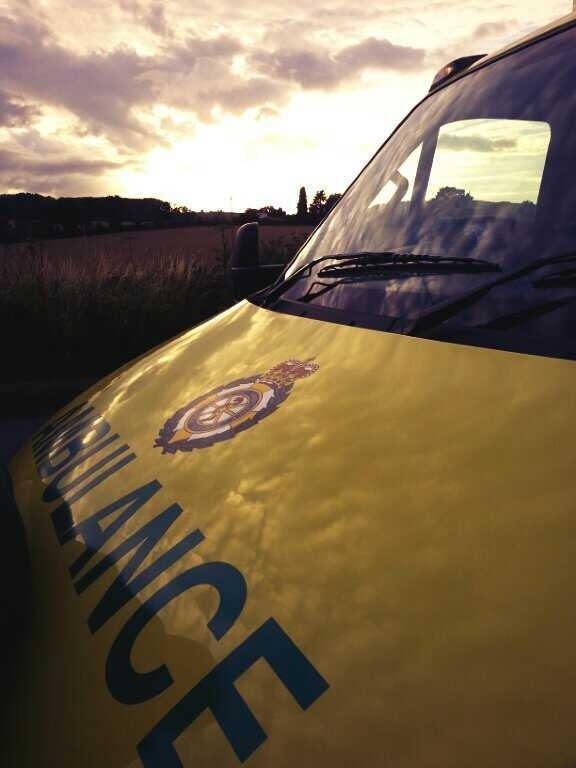 West Midlands Ambulance Service was called to the A456 at Blakedown shortly after 9.20pm last night (Friday). A paramedic in a rapid response vehicle, a senior paramedic officer in a rapid response vehicle, an ambulance crew and the MERIT trauma team consisting of a trauma doctor and critical care practitioner attended. A West Midlands Ambulance Service spokesman said: “Crews arrived to find the car upright in a field. Its driver, a man in his late teens, was trapped and was cut free. Saturday 30th August 2014 – 9.35am – Chris Kowalik. Two people who were in a car that overturned have been taken to hospital. West Midlands Ambulance Service was called to Coventry Road, near the M42 at junction 6 shortly after 5.05am today. Friday 29th August 2014 – 3.20pm – Claire Brown. A motorcyclist has received specialist medical care at the roadside before being airlifted to a major trauma centre following a road traffic collision in Shropshire. West Midlands Ambulance Service was called to Broadway in Shifnal at 11.50am this morning (Friday). An ambulance, a paramedic area support officer and the Midlands Air Ambulance from Cosford with a MERIT trauma doctor on board attended the scene. A West Midlands Ambulance Service spokeswoman said: “Upon arrival crews found a man in his 40s, a motorcyclist, who had come off his bike following a collision with a car. The man had reportedly been thrown some distance and, upon assessment, ambulance staff found he had sustained multiple limb fractures as well as a nasty facial injury. What happens to a Community First Responder? Ian Thompson became a Paramedic! Friday 29th August 2014 – 12.30pm – Chris Kowalik. Ian Thompson is one of Shropshire’s first ever Community First Responders, one of a growing band of people who give up their spare time to attend medical emergencies while an ambulance is en-route. 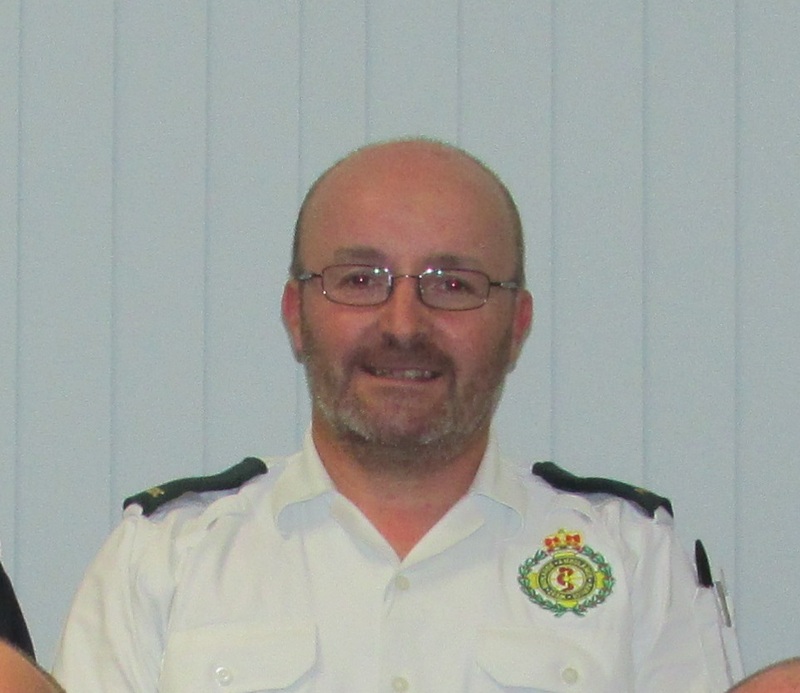 He began his voluntary role in 2000; something he still does whilst off-duty, but now utilising his paramedic skills, in addition to now also being the co-ordinator for 25 CFRs in Bridgnorth District, covering Bridgnorth, Highley, Alveley, Claverley, Broseley, Much Wenlock and Norton. 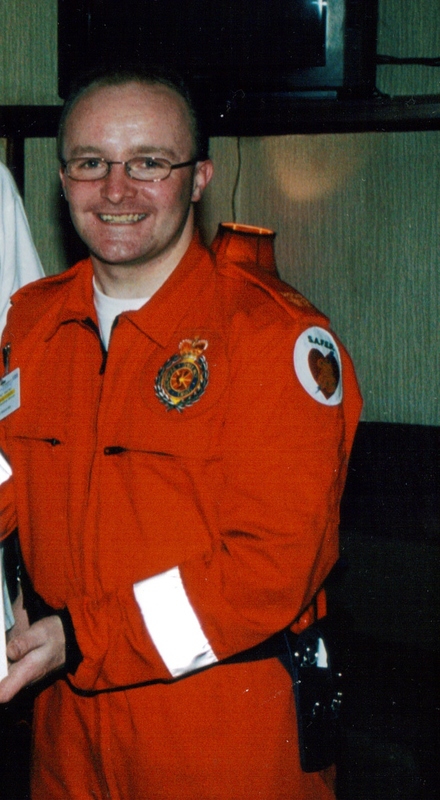 In 2003 Ian gave up his full-time job in the motor industry to pursue a professional career in the ambulance service. He started as an Emergency Medical Technician (the grade before paramedic), then completed a Foundation Degree at the University of Worcester allowing him to become a paramedic in 2009. But he continues as a volunteer in Community Response, explaining: “There’s the cliché about ‘giving something back to the community’ and I’d be lying if I said that wasn’t part of my motivation for volunteering as a CFR all those years ago – as I’m sure many more of our volunteers will also agree. There is a huge sense of reward and achievement when you are able to help somebody in distress – and in such diverse ways. It could be the fact you are providing simple comfort or reassurance, right through to the worst case scenario of cardiac arrest, where you are able to help try and resuscitate someone. Thursday 28th July 2012 – 6.15pm – Murray MacGregor. 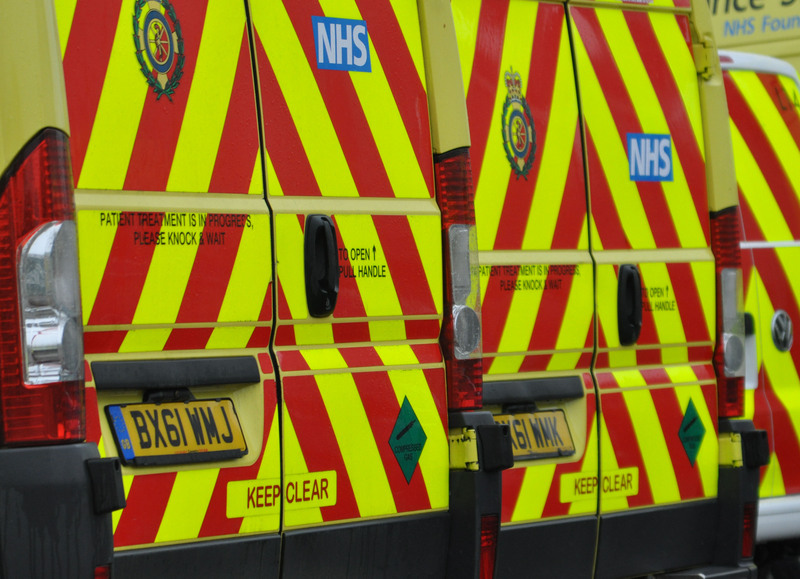 A new report shows that the number of complaints received by West Midlands Ambulance Service has reduced by over 11% while compliments have risen by almost 7%. The data published by the Health and Social Care Information Centre shows the Trust received 417 complaints in 2013-14; down from 471 in 2012-13. This compares to an increase across ambulance services generally. However, the number of compliments dwarfs the number of complaints. In 2013-14, the Trust received no fewer than 972 letters, emails, Tweets and Facebook posts praising the work of staff; the figure is up from 911 the previous year, a rise of 6.7%. The figures come as a result of the Trust dealing with 967,145 emergency calls and 649,332 non-emergency journeys. This works out that the Trust receives a complaint in only 0.023% of cases or one complaint for every 4,454 patient contacts. Director of Nursing and Quality, Sue Green, said: “Whilst one complaint is one too many, the figure is very small compared to the number of people the Trust helps. “Whilst we do not want to receive complaints, we very much see it as a positive. The more we are able to interact with the public and learn from their views, the better the service will become. “As a Trust we take any comments, good or bad, very seriously. In those cases where we did not perform at the level we would hope, we regularly carry out a ‘route cause analysis’ investigation to see what lessons can be learnt. “We have made numerous appeals for people to use the 999 service wisely but some people do still call us with less serious conditions. In many cases it simply isn’t appropriate to send an ambulance to them so we get an experienced paramedic to speak to the patient and provide advice over the phone or refer them to a minor injuries unit or their GP. Thursday 28th August 2014 – 12.15pm – John Hawker. Two patients were trapped in their cars for around 45 minutes after a serious RTC in Droitwich earlier this morning. The crash occurred on the A38, Briar Hill, at around 8.20am. Two ambulances, a paramedic officer and the Midlands Air Ambulance from Cosford attended the scene. A West Midlands Ambulance Service spokesman said: “Crews arrived to the dual carriageway to find two cars that had been in a significant collision. It is believed one car had crossed over to the opposite side of the carriageway before the vehicles collided. “The woman driving one car, believed to be in her mid 20’s, suffered head injuries and pelvic injuries. “The man driving the second car, believed to be in his mid 40’s, suffered chest and back injuries. 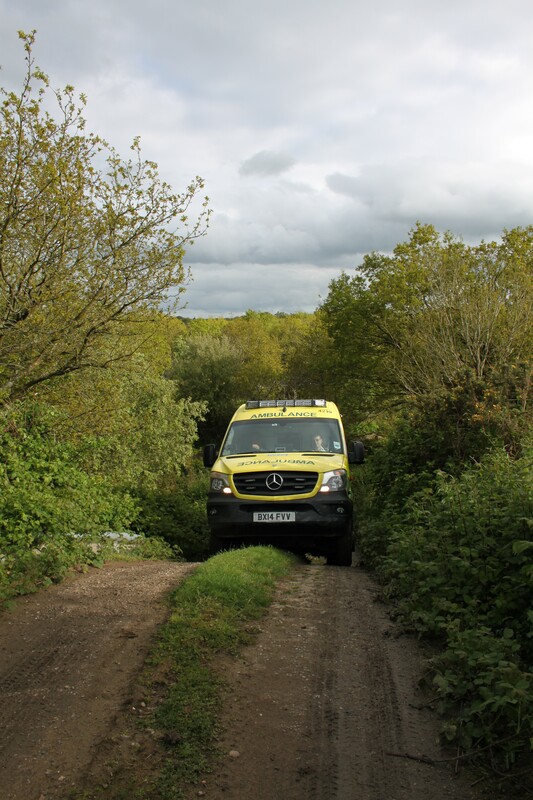 “Both patients received emergency treatment from ambulance medics whilst still in their vehicles. They were then extricated with the assistance of the fire service. Both were trapped for around 45 minutes. 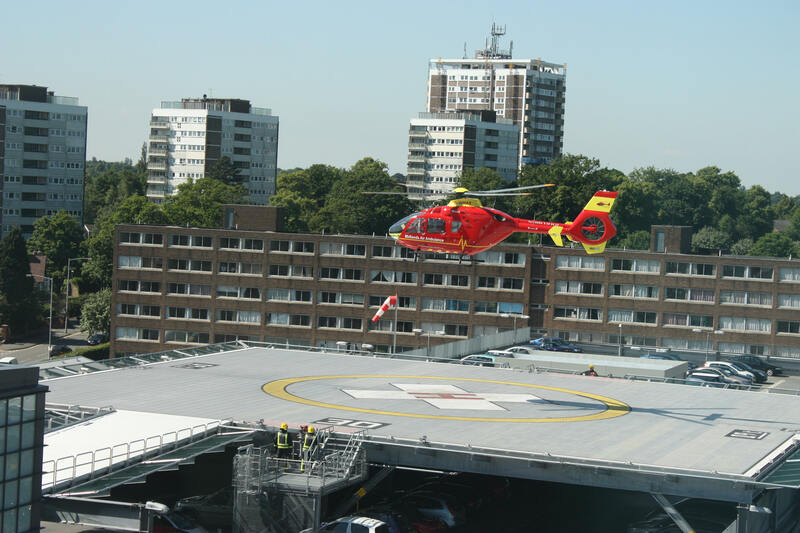 “The woman was airlifted to Queen Elizabeth Hospital Major Trauma Unit for further emergency treatment. The man was transferred by land ambulance to Worcester Royal Hospital for further treatment. Thursday 28th August 2014 – 11.50am – John Hawker. 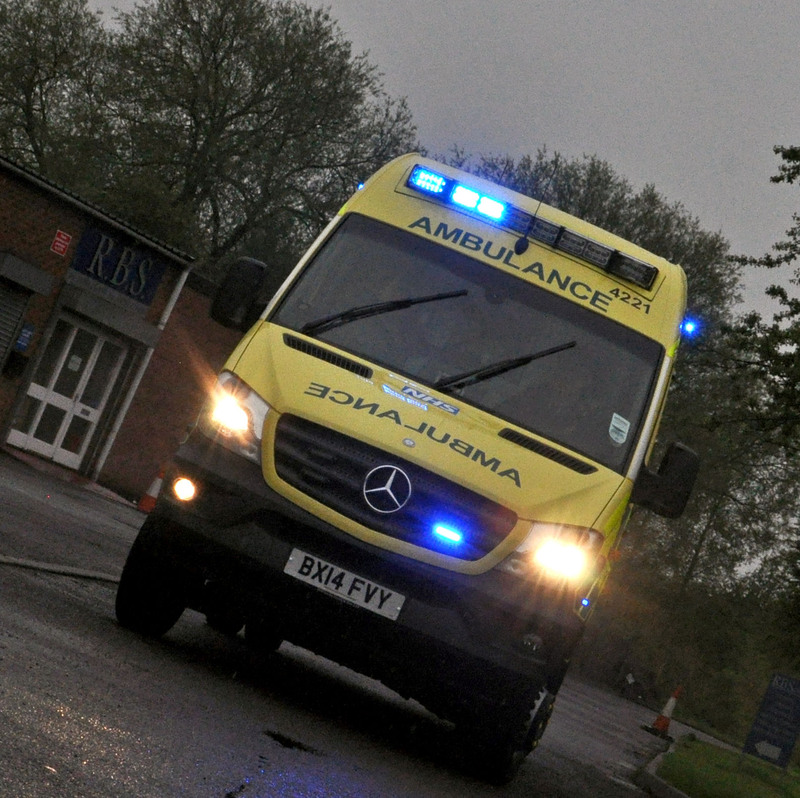 A woman has suffered serious injuries following an RTC in Stratford Upon Avon this morning. The crash occurred on Clifford Lane, near Clifford Chambers at around 7.45am. Two ambulances, a paramedic officer and the Midlands Air Ambulance from Strensham attended the scene. A West Midlands Ambulance Service spokesman said: “Crews arrived to find two cars that had been in a serious collision, both vehicles had suffered significant damage. “The woman driving one car, believed to be in her early 60’s, suffered serious abdominal and hip injuries and was trapped in the vehicle. She received emergency treatment at the scene by ambulance crews. “The woman was then removed from the vehicle with the assistance of the fire service and airlifted to University Hospital Coventry and Warwickshire for further emergency treatment. The hospital had been pre alerted to the woman’s arrival and her serious injuries. 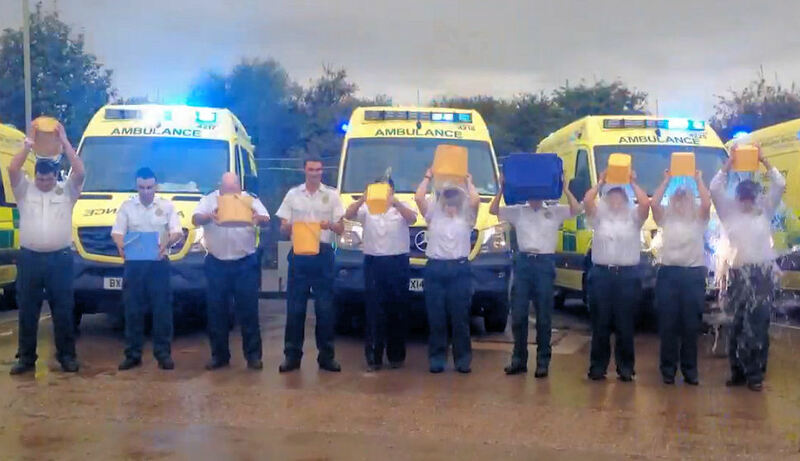 Ambulance control room staff take on ice bucket challenge! Thursday 28th August 2014 – 8.20am – Claire Brown. After a busy 12 hour night shift in two of the busiest emergency services control rooms in the country, getting your head down for a sleep is usually the number one priority for the majority of staff. So imagine the horror that instead of a nice warm bed, all they face is a bucket of ice cold water over their heads! The only consolation is that it’s all in aid of a really good cause – motor neurone disease. 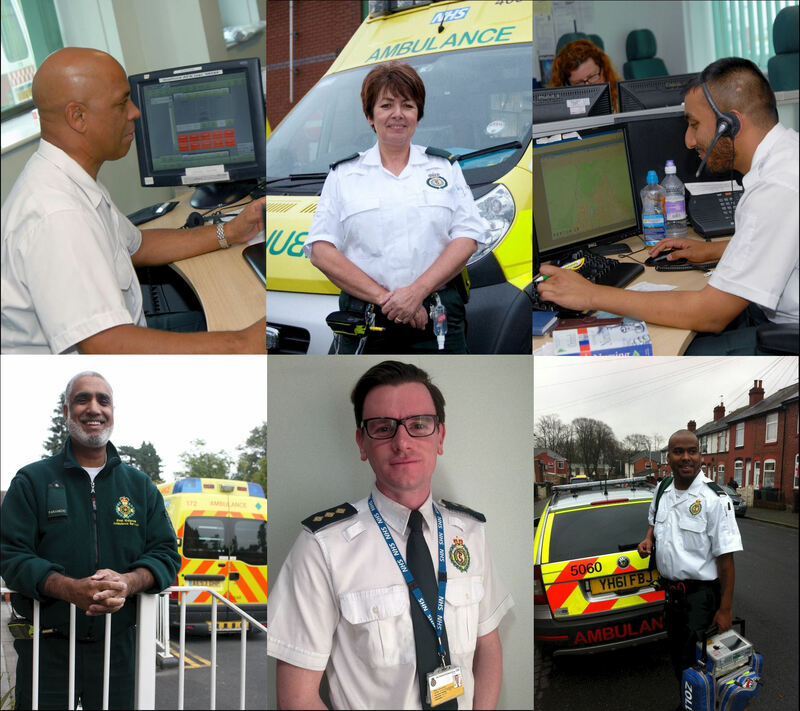 Today, 34 staff from West Midland Ambulance Service’s two Emergency Operations Centres (EOCs) in Brierley Hill and Stafford took up the challenge that is sweeping the world after being nominated by colleagues. Started in the US, the ice bucket challenge has raised £48 million in less than a month for ALS (Amyotrophic lateral sclerosis), known as motor neurone disease (MND) in the UK. The disease affects the brain and the spinal cord causing motor neurones to degenerate and die, leading to gradual paralysis and eventually death. The staff, from EOC Team 1, clocked off after their 12 hour shift at 7.00am this morning to face the icy challenge in their uniform before heading to bed. Rob Kelly, EOC Duty Manager at Millennium Point, led the team of 24 out to the car park after work. At the same time in Tollgate’s control room car park in Stafford, EOC Duty Manager Ellen Mowe joined nine other colleagues for the challenge before home time. The only question now is, will the nominated people take on the challenge? Well done to all the control room staff for completing the challenge and donating to the UK Motor Neurone Disease Association. To donate, text ICED55 and then the amount you want to donate to 70070 or visit www.mndassociation.org. Wednesday 27th August 2014 – 6.40pm – Murray MacGregor. With only a few days left of the school summer holidays, ambulance bosses are asking car drivers to continue to be mindful of children playing in roads. It follows a very fortunate escape for a 10 year old lad in the Pendeford area of the Black Country who could so easily have been very seriously injured after he was in collision with a car. A West Midlands Ambulance Service spokesman said: “The youngster was with a group of friends and ended up in the road at just the time a car was going by. “Unfortunately, there was a collision between the two and the initial reports on the 999 call suggested the lad was in a semi-conscious state. “Fortunately after being checked out at the scene, he only appeared to have cuts bumps and bruises to his shoulder and arms, but was otherwise uninjured. As a precaution he was taken to New Cross Hospital for further assessment. “The driver of the car was understandably pretty shaken by what had happened. “As we approach the start of a new school term it is as important as ever that car drivers are aware of youngsters at the side of roads. Equally, it is vital that parents make their children aware of the dangers of cars and how easy it is for them to suffer very significant injuries. Wednesday 27th August 2014 – 1.40pm – Chris Kowalik. Volunteer lifesavers in north Shropshire have two new response cars thanks to the generosity of a number of people, businesses and organisations. 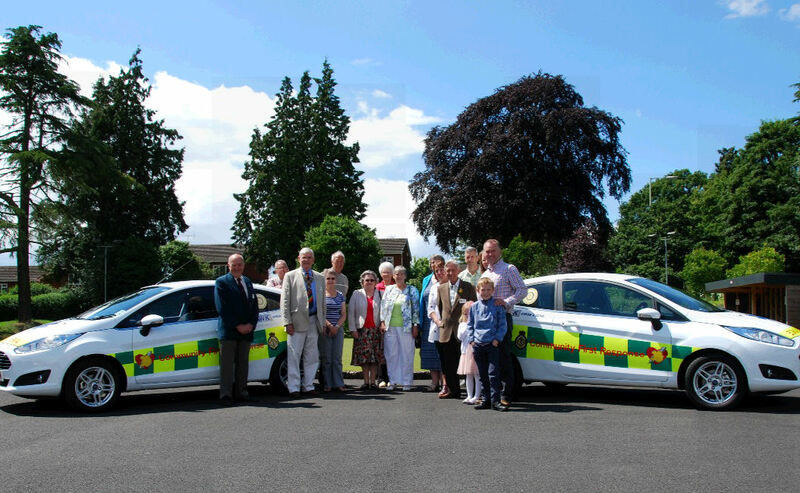 The cars were launched by North Shropshire Community First Responders at Chester Road Bowling Club in Whitchurch and will be used by its on-call volunteers to attend medical emergencies nearby while an emergency blue-light ambulance service vehicle is en-route. ‘North Shropshire Community First Responders’ is a registered charity run by volunteers who are trained by West Midlands Ambulance Service to a nationally recognised standard in a number of assessments and basic lifesaving procedures. Their early intervention increases the patient’s chance of survival. Signs of the Times, Whitchurch. For more information on Community First Responders or to become one yourself, visit www.wmas.nhs.uk or call the Community Response Department on 01384 215 855. Tuesday 26th August 2014 – 6.30pm – Murray MacGregor. West Midlands Ambulance Service has become the first emergency service in the region to receive accreditation to one of the toughest ‘excellence’ programmes in the country. The Trust has been awarded ‘Van Excellence’ by the Freight Transport Association (FTA). For patients who need an ambulance, it means that the vehicle they are conveyed in is operated at the highest level. Tony Page, General Manager Fleet Services, said: “Some people might be confused as to what the programme has to do with us. 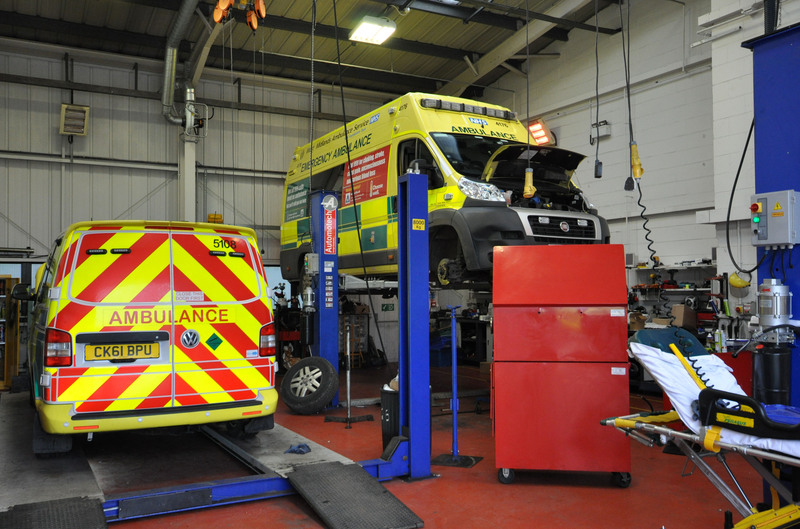 However, ambulances are essentially vans with a very specialised purpose, so to get the award is a fantastic achievement for the staff and is good news for patients. “We are one of only three ambulance services to meet the standard and there are only 75 accredited operators in the UK out of 14,000 members of the FTA. “The transport industry is the second most regulated in the UK after aviation. To gain accreditation, we have to actively ensure the safety of our staff and the public through a robust maintenance programmes; adherence to pre-departure checks; a robust defect rectification process and high levels of driver training. Trust Chief Executive, Anthony Marsh, added: “This award is the culmination of 18 months of hard work. Clearly our top priority is to ensure the highest standards of patient care. If we have a fleet that meets the toughest tests, that will undoubtedly benefit patients and enhance the work life of our staff. “Our decision to invest in our fleet means no vehicle over five years old. 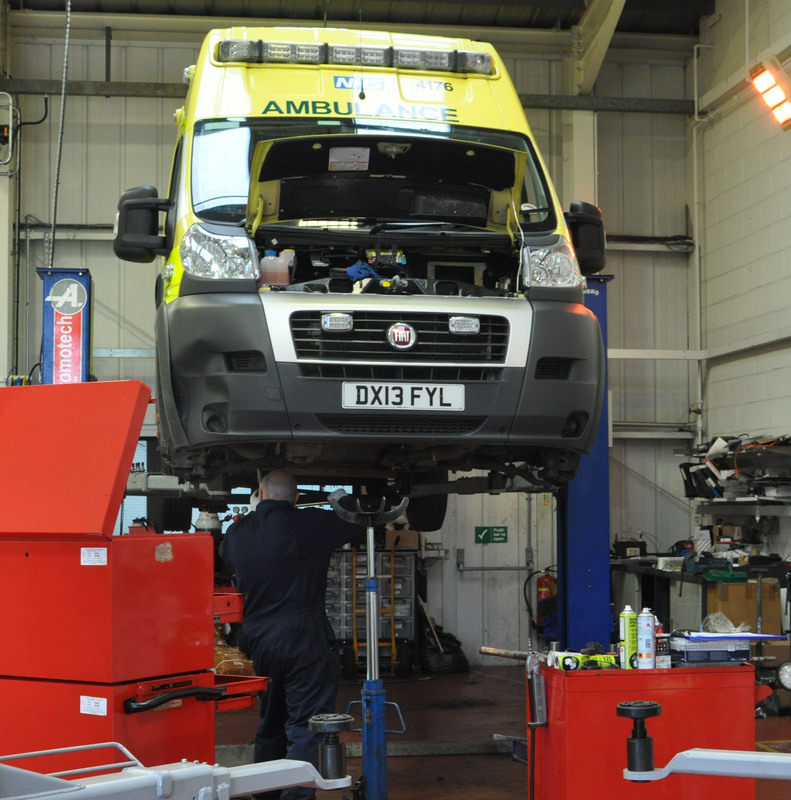 This brings real benefits to staff and patients alike; we get very few breakdowns and the vehicles are more comfortable. Tuesday 26th August 2014 – 4.55pm – Chris Kowalik. 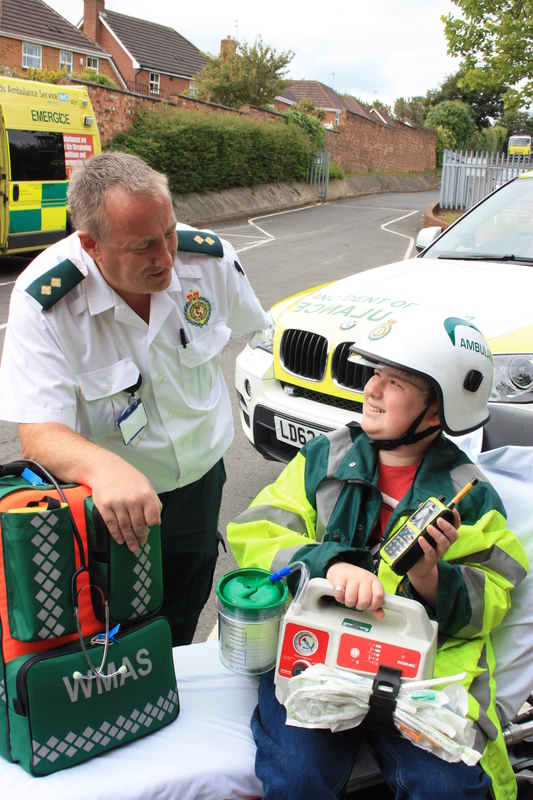 A 13 year old boy who’s dream it is to become a paramedic, had his wish come true when he visited an ambulance hub in Dudley. While he was a patient at Russells Hall Hospital, Jamie Shepherd filled in a “Wishing Well” form. 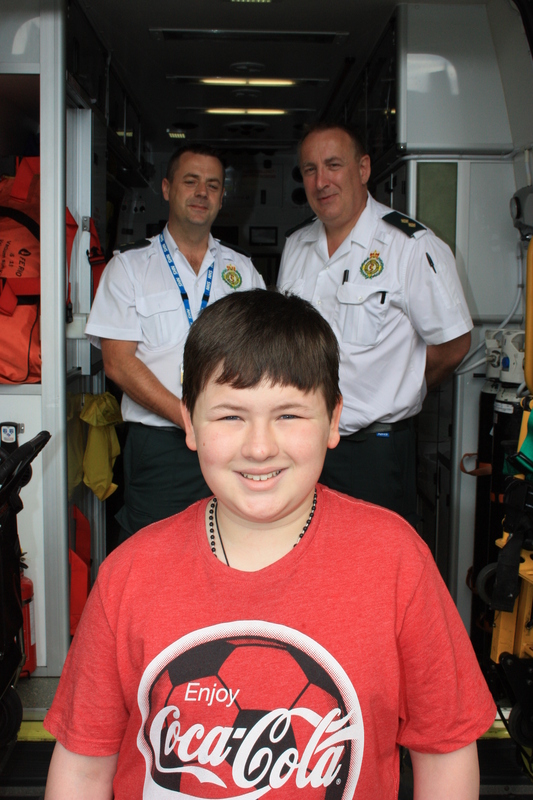 On Friday 22nd August, the wish came true for the 13 year old from Stourbridge when he met Hospital Ambulance Liaison Officer and paramedic Stephen Yeates and paramedic Michael Hipgrave. 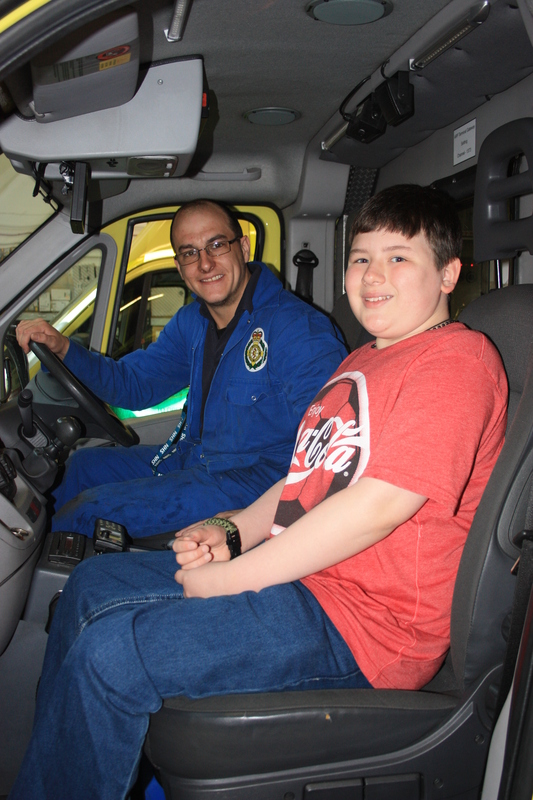 The paramedics answered in-depth questions about their work before showing Jamie around the hub, around an ambulance and demonstrating the equipment they use. Monday, 25th August 2014 – 11pm – Jamie Arrowsmith. 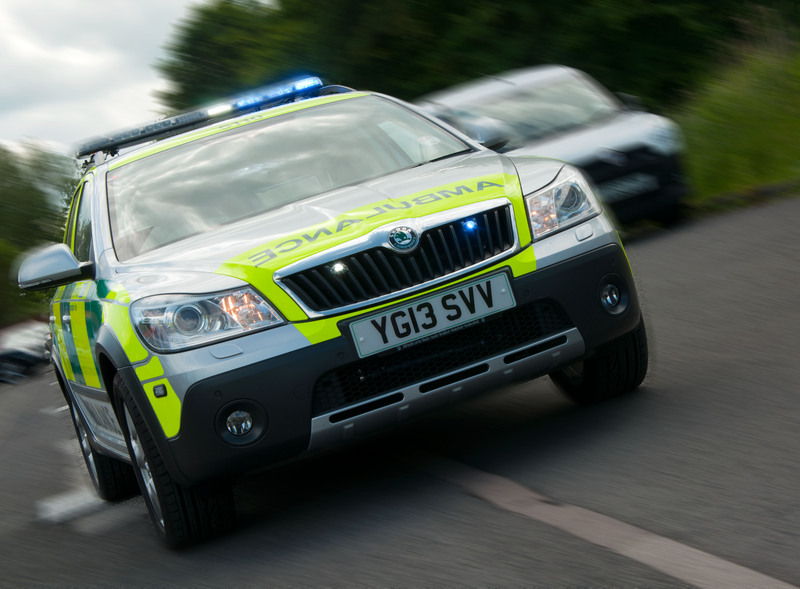 A man has died and three other people required hospital treatment following a road traffic collision in Bromsgrove this afternoon. The crash occurred outside The Queen’s Head public house on the A448 Stratford Road, Bromsgrove, at 3.30pm and West Midlands Ambulance Service sent three ambulances and two paramedic area support officers to the scene. A West Midlands Ambulance Service spokesman said: “Crews arrived to find a car that had suffered significant damage after leaving the road and colliding with street furniture. “One patient from the car, a man, had been ejected from the vehicle during the incident. Unfortunately, it quickly became apparent that nothing could be done to save him and he was confirmed dead at the scene. “Three other patients from the vehicle were treated on scene by paramedics. “A female teenager suffered a suspected fractured wrist whilst a second girl and a man in his 40s were treated for minor injuries. “All three were transported to the Alexandra Hospital, Redditch, for further assessment. Monday, 25th August 2014 – 10.15am – Jamie Arrowsmith. 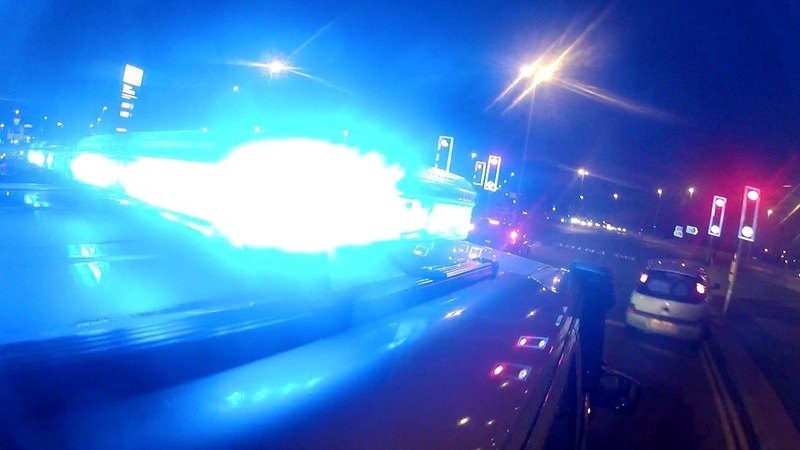 A man has died after the motorcycle he was riding collided with a car in Birmingham last night (Sunday). The crash occurred on the junction of Lea Ford Road and Packington Avenue in Kitts Green, just before 7.50pm. West Midlands Ambulance Service sent two ambulances, a paramedic in a rapid response vehicle, a paramedic area support officer and two doctors to the scene. A West Midlands Ambulance Service spokesman said: “Despite the best efforts of the ambulance crew and doctors to resuscitate the motorcyclist, nothing could be done to save him and he was confirmed dead on scene. 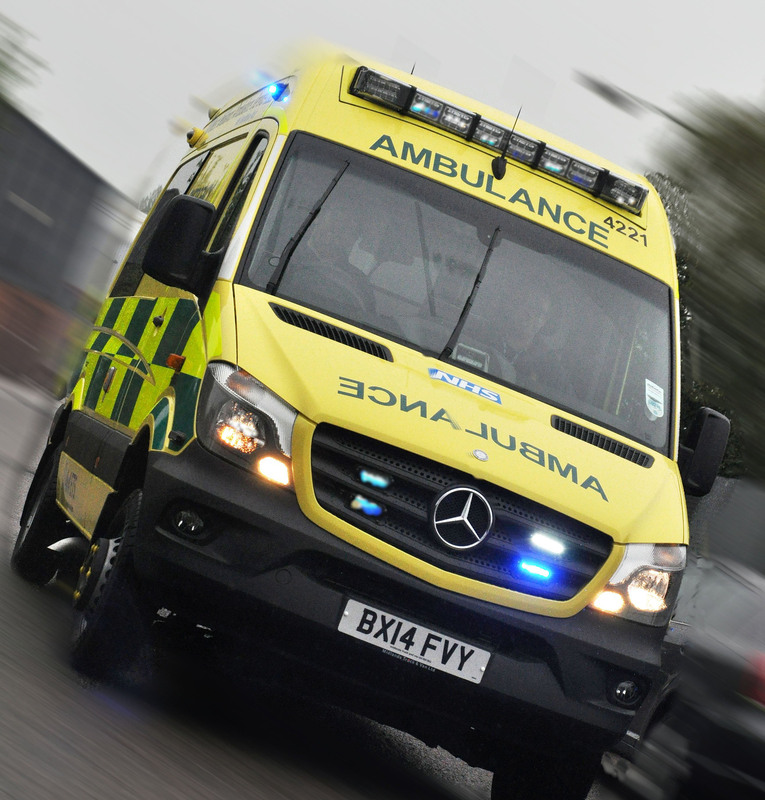 Two separate road traffic collisions within the space of 90 minutes saw six people requiring treatment from paramedics in the Walsall area this afternoon (Sunday). The first incident was a two-car collision that took place in Wolverhampton Road, Pelsall, just before 4pm. West Midlands Ambulance Service sent four ambulances and a paramedic area support officer to the scene. A West Midlands Ambulance Service spokesman said: “Crews arrived to discover two cars that had been in collision, one with front end damage and one that had received a side impact. “One of the cars involved in the collision went on to hit a wall. The woman passenger from that car, believed to be in her 50s, received treatment from paramedics for neck pain. She was also given pain relief and immobilised with the use of a neck collar and spinal board before being transported to New Cross Hospital, Wolverhampton. “The driver of the car, a man in his 50s, was taken to the same hospital with minor injuries. The second incident took place on the M6 northbound at junction eight just after 5.20pm and West Midlands Ambulance Service sent two ambulances and a paramedic area support officer to the scene. A spokesman for the service said: “On arrival, crews discovered two cars that had been in collision, one that had suffered front end damage and one that had suffered rear end damage. “Two patients from the same car were treated for minor abdominal injuries, a woman in her 30s and a female teenager. A paraglider escaped with minor back injuries when crash landing in Hereford this afternoon. The incident took place in Sollers Hope shortly before 3.40pm and West Midlands Ambulance Service sent two ambulances and the Midlands Air Ambulance from Strensham to the scene. A West Midlands Ambulance Service spokesman said: “On arrival, crews discovered a man, reported to be 52 years old, who had collided with a hill when coming in to land. 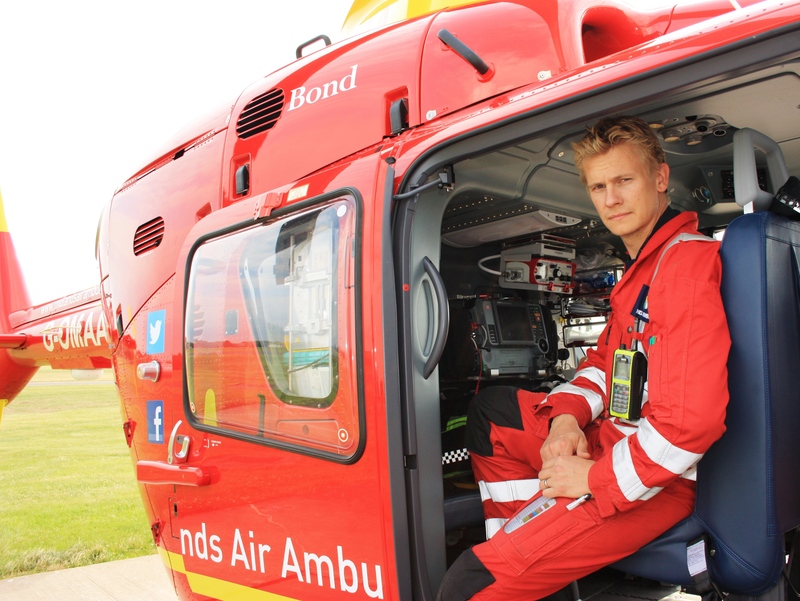 “Due to the difficult location of the man’s position, the air ambulance was unable to land nearby but once crews reached the patient, they treated him for lower back pain, administered pain relief and immobilised him with the use of a neck collar and spinal board. A man was fortunate to escape serious injury when his car ended up on its roof following a road traffic collision in Leamington this morning (Sunday). The incident took place on the junction of High Street and Penns Road just before 4.45am and West Midlands Ambulance Service sent an ambulance and a a paramedic area support officer to the scene. A West Midlands Ambulance Service spokesman said: “On arrival, crews discovered a car that had come to rest on its roof after colliding with a stationary vehicle. “The patient had managed to free himself from the car and following assessment from ambulance staff was treated for injuries to his face and shoulder. 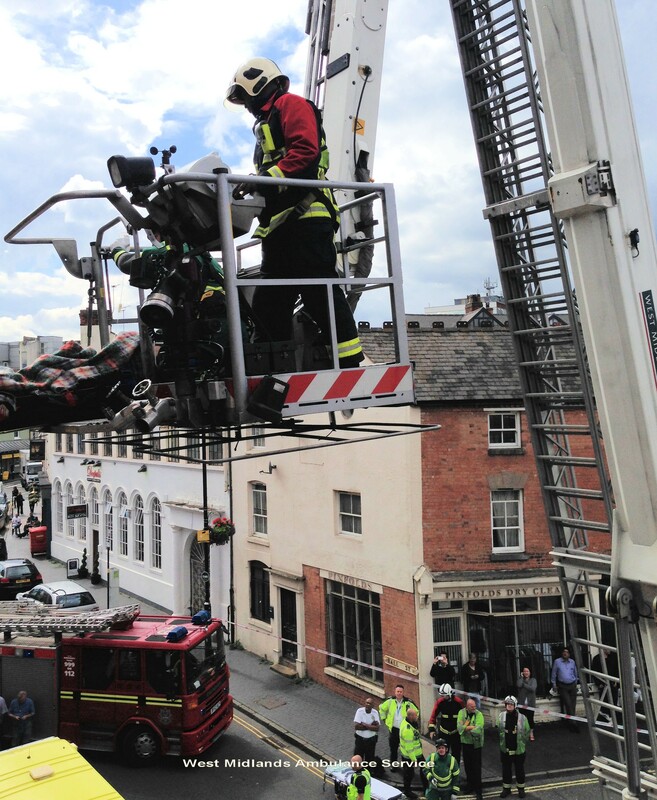 “He was immobilised as a precaution with the use of a neck collar and spinal board before being taken to Warwick Hospital for further treatment. Five men required hospital treatment, one of whom had to be airlifted, following a serious road traffic collision in Nuneaton this afternoon. The crash occurred on Atherstone Road shortly after 3.50pm and West Midlands Ambulance Service sent two ambulances, a paramedic in a rapid response vehicle and a paramedic area support officer to the scene together with the Midlands Air Ambulance from Staffordshire and the Warwickshire and Northamptonshire Air Ambulance. A West Midlands Ambulance Service spokesman said: “Crews arrived to find two cars that had both suffered significant damage in what was clearly a serious collision. “There were five male patients who required treatment from paramedics, three in one car and two in the other. “One of the men, who was reported to be 46-years-old, had suffered a fractured leg together with arm, neck and head injuries. He was immobilised and given pain relief before being flown to University Hospital Coventry and Warwickshire. “A second man from the car, believed to be 23, was treated for chest and leg and facial injuries. He was taken to the same hospital by land ambulance. “The third patient from the car also went to the same hospital by land ambulance suffering with back injuries. Friday, August 22nd 2014 – 9.30pm – Jamie Arrowsmith. 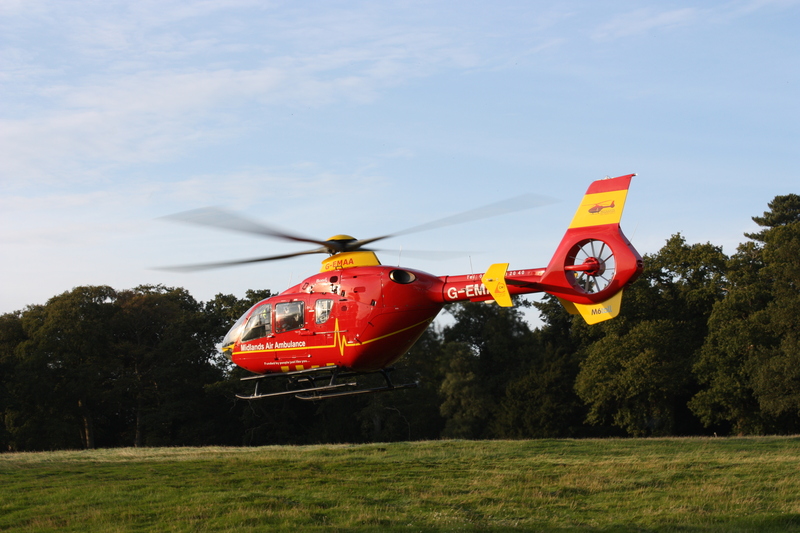 A woman has been airlifted to one of the region’s major trauma centres following a road traffic collision in Uttoxeter this afternoon (Friday). West Midlands Ambulance Service was called to the junction of the B5013 and Stafford Road at 2.10pm and sent an ambulance, a paramedic in a rapid response vehicle and the Midlands Air Ambulance from Staffordshire to the scene. A West Midlands Ambulance Service spokesman said: “Crews arrived to discover two cars that had suffered significant front end damage. One of the vehicles had left the road and collided with a bush. “The driver of one of the cars, a woman in her 80s, was assessed by paramedics and treated for ankle, leg and head injuries. She was immobilised with the use of a neck collar and spinal board and also given pain relief. “She was then flown to University Hospital North Staffordshire for further treatment. Thursday 21st August 2014 – 2.50pm – Chris Kowalik. 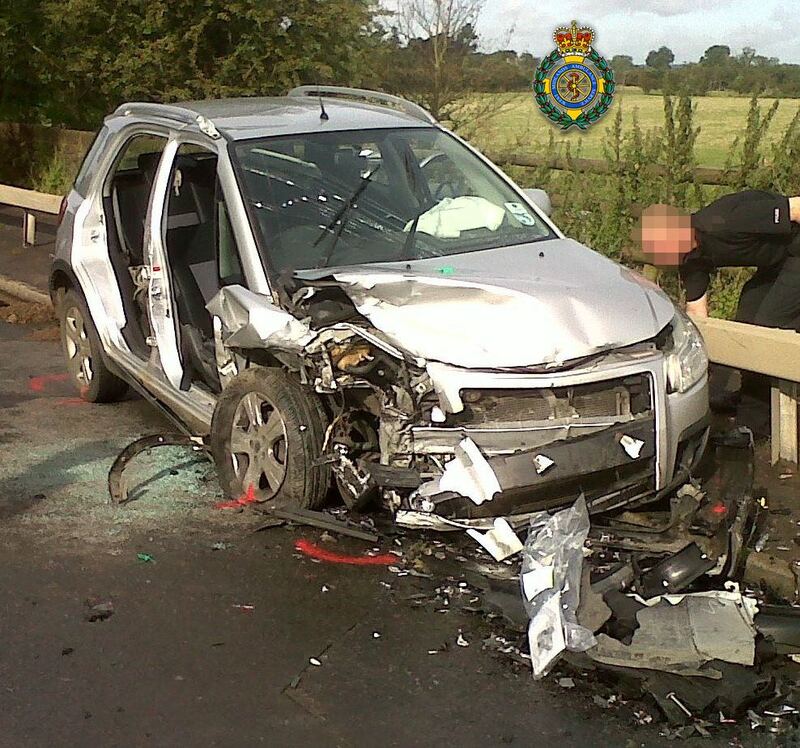 His car was wrecked but the driver of this Peugeot (pictured) wasn’t badly hurt. He was trapped in his car that ended up between a Land Rover towing a trailer and a van towing a trailer following a collision in Warwickshire. West Midlands Ambulance Service was called to Hockley Road, Shrewley shortly before 8.45am today. A paramedic area support officer in a rapid response vehicle and an ambulance crew attended. Police and the fire service also attended. A West Midlands Ambulance Service spokesman said: “The car driver who is believed to be in his thirties, appeared uninjured but had pains in his arm and neck. 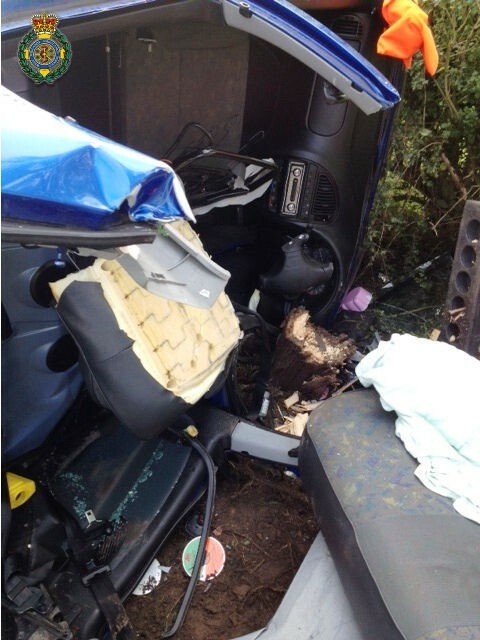 “Because of the amount of damage done to the car, we played it safe and, with the help of the fire service, he was freed, immobilised and taken to Warwick Hospital for further checks. Thursday 21st August 2014 – 12.25pm – Chris Kowalik. 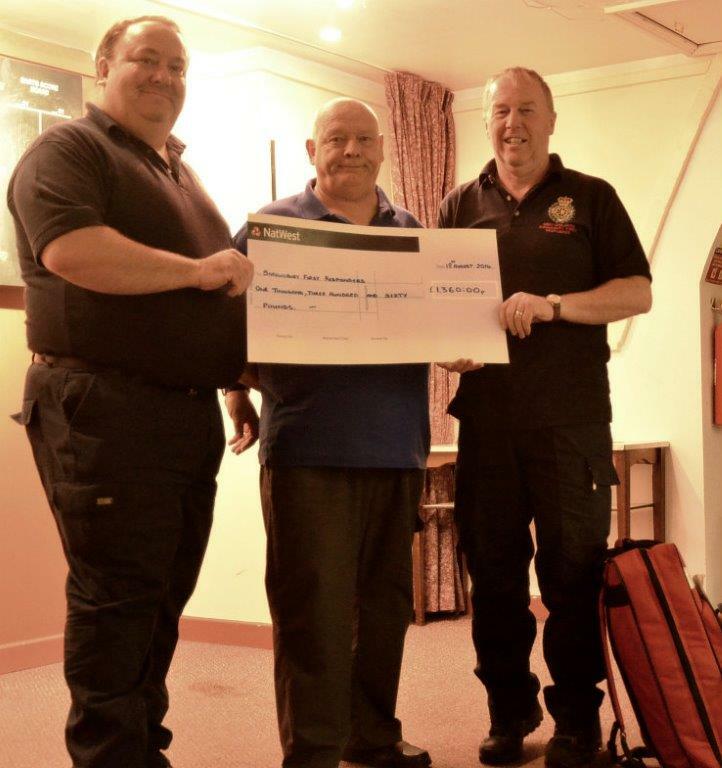 For the third year running, Shrewsbury’s volunteer Community First Responders have received a generous donation from the town’s darts league. Throughout the year, the Shrewsbury & District Darts League fundraised at matches culminating in their finals night on Monday, 18th August at Harlescott Sports and Social Centre. 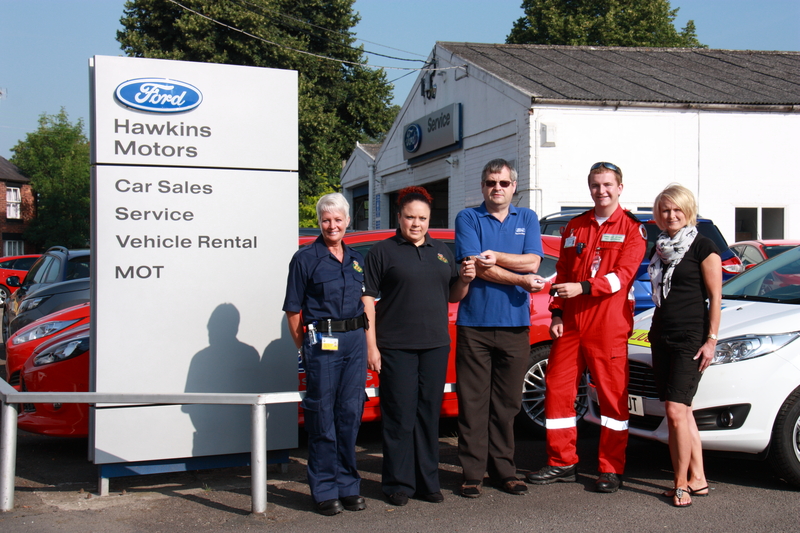 It was there that they presented the CFRs with a cheque for £1,360. CFR co-ordinator Rob Lambie said: “This is the third year in which they have made a donation. The money is always put to good use. The darts league like how we always update them on our work, how the money is spent and give demonstrations of the equipment we use. This latest donation will go on new equipment for our responders. Pictured left to right: Nick Freeman (Shrewsbury CFRs Treasurer), Dave Evans (Shrewsbury & District Darts League General Secretary) and Rob Lambie (Shrewsbury CFR Co-ordinator). Community First Responders are volunteers trained by West Midlands Ambulance Service to a nationally recognised standard. They could be called upon by the ambulance service’s control room to attend a medical emergency in their area while a blue-light emergency vehicle is en-route. There are ten active Community First Responders within the Shrewsbury CFR scheme covering the county town and its surrounding villages. Thursday 21st August 2014 – 6.45am – Jamie Arrowsmith. A woman was trapped in her vehicle for approximately one hour and 20 minutes following a two-car collision that saw both vehicles leave the road in Bewdley last night (Wednesday). The incident involved four patients in total, two of whom were discharged at scene with minor injuries, but the other two required further treatment at Russells Hall Hospital. West Midlands Ambulance Service was called to the incident on the A442 Bridgnorth Road, shortly before 9.25pm and sent three ambulances, a paramedic area support officer and a MERIT trauma doctor to the scene. A West Midlands Ambulance Service spokesman said: “On arrival at the scene, crews discovered two cars that had left the road and suffered significant damage, one of which had come to rest on its roof and the other that had hit a bush. “From the car that collided with a bush, paramedics treated the passenger, a woman in her 60s, for back, chest and abdominal injuries. She was immobilised with the use of a scoop stretcher and given pain relief. “Crews worked closely with the fire service to carefully cut her free from the car, a process which took over an hour due to the difficult location of the vehicle. “She was then transported to hospital with the doctor travelling on the ambulance to continue treatment en-route. The driver of the car, a man in his 70s, was discharged at scene with minor chest and arm injuries. “The second car came to rest on its roof but both patients had managed to free themselves from the vehicle. “Paramedics treated a 25-year-old female for arm, knee and abdominal injuries before she was also conveyed to hospital. Wednesday 20th August 2014 – 5pm – Jamie Arrowsmith. A horse rider suffered a fall and ended up with her mount landing on top of her when competing in an equestrianism competition in Hereford this morning. The woman suffered a number of injuries in the incident but thankfully she was wearing a helmet and protective clothing which undoubtedly saved her from further damage. The unfortunate incident happened at Cockshutts Farm in Bromyard, shortly before 11.40am and West Midlands Ambulance Service sent an ambulance, a community paramedic and the Midlands Air Ambulance from Strensham to the scene. A West Midlands Ambulance Service spokesman said: “Ambulance staff were told that the 25-year-old woman fell whilst attempting a jump and to make matters worse, the horse then landed on top of her. “Event medical staff reported that she initially suffered a reduced level of consciousness and had immobilised her with the use of a scoop stretcher prior to our arrival. “Following assessment from ambulance staff, she was treated for chest pain and suspected fractures to her ribs and right shoulder. Pain relief was administered on scene before she was airlifted to Hereford County Hospital. Wednesday 20th August 2014 – 11.45am – Suzie Wheaton. A man has been airlifted to hospital after sustaining serious multiple injuries in a road traffic collision this morning. 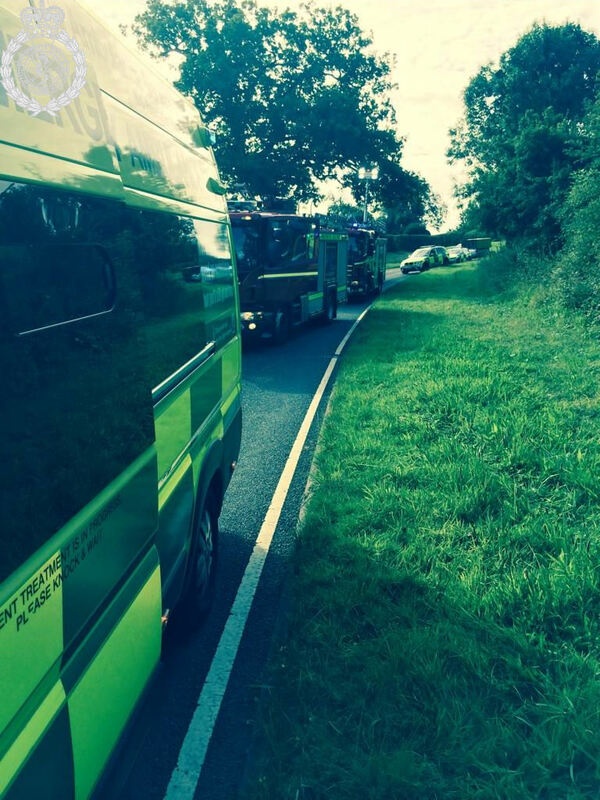 West Midlands Ambulance Service was called to the A4110 in Canon Pyon at approximately 6.55am this morning. A West Midlands Ambulance Service spokeswoman said: “On arrival at the scene, crews found a car that was on fire after it had reportedly been in collision with a tree. “The driver of the car, a man, was out of the vehicle. Crews immediately treated him for extensive burns to his body and multiple fractures to his arm and legs. 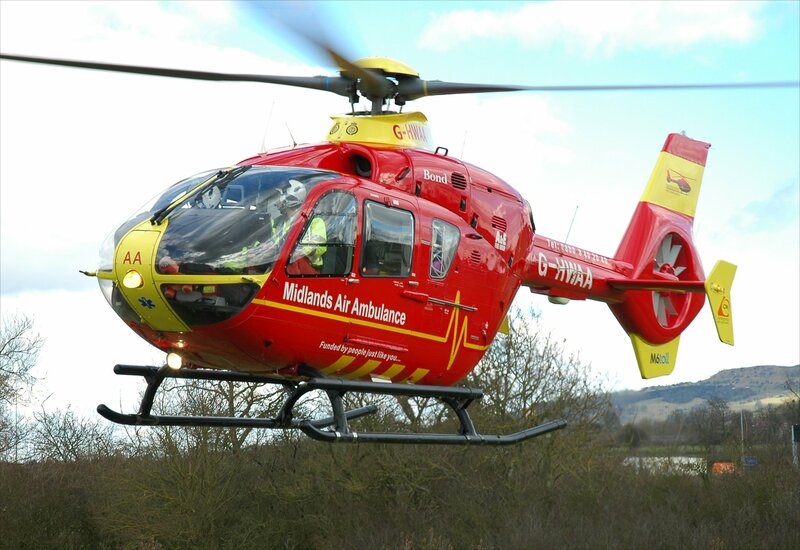 “Due to the serious nature of the man’s injuries, the doctor gave the man an anaesthetic at the scene before he was airlifted to the major trauma centre at Queen Elizabeth Hospital Birmingham for further assessment and specialist treatment. 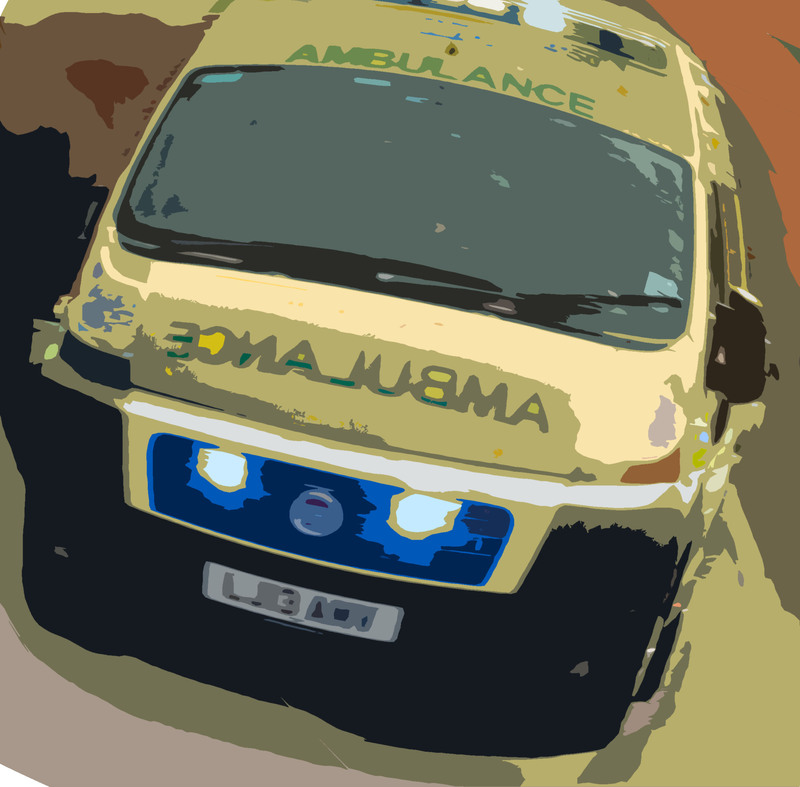 A man who reportedly knocked himself unconscious when falling from a quad bike in Burton this afternoon received emergency treatment from paramedics before having to be taken to one of the region’s major trauma centres. The incident took place in Longcroft Lane, Yoxall, at 3.40pm and West Midlands Ambulance Service sent an ambulance and the Midlands Air Ambulance from Staffordshire to the scene. 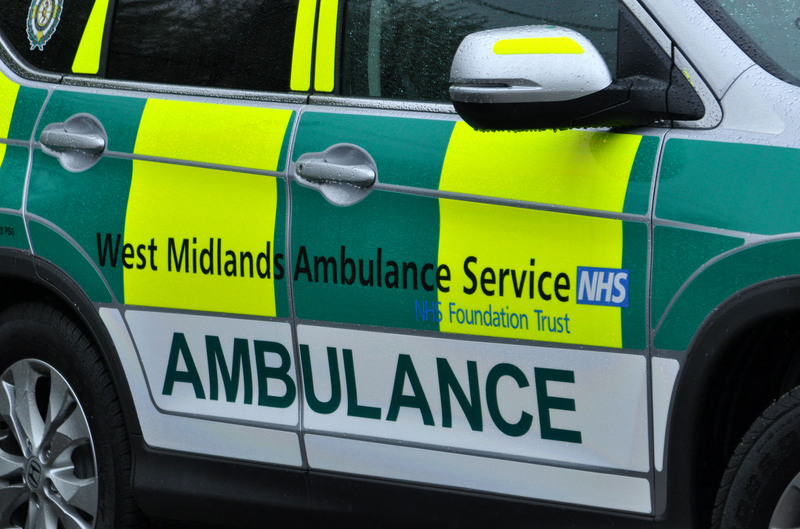 A West Midlands Ambulance Service spokesman said: “Crews arrived to find a 61-year-old man who was in a confused and agitated state after falling from his quad bike that reportedly tipped over. “It is believed he was initially knocked unconscious for approximately five minutes in the incident and following assessment from paramedics he was treated on scene for an isolated head injury. “He was then transported by land ambulance to University Hospital North Staffordshire, with the air crew travelling with him to continue treatment en-route. A Walsall man will appear in court next month accused of stealing an ambulance and assaulting medical staff in Bloxwich in May. Simon Lewis was arrested after police received a report that a man was acting violently towards an ambulance crew who’d attended a call-out to a flat in Bloxwich High Street on 15 May. The unemployed 37-year-old is alleged to have assaulted two ambulance staff before driving off in the emergency vehicle. The ambulance was forced to stop near Green Lane Baptist Church by a police response vehicle. Lewis, of High Street, was subsequently charged with aggravated vehicle taking, dangerous driving, common assault, assault by beating and using a motor vehicle without insurance. He has been bailed to appear before Walsall and Aldridge Magistrates Court on 9 September. Tuesday 19th August 2014 – 11.40am – John Hawker. A biker has seen his investment in full leathers with body armour pay dividends after a serious RTC in Warwickshire this morning. 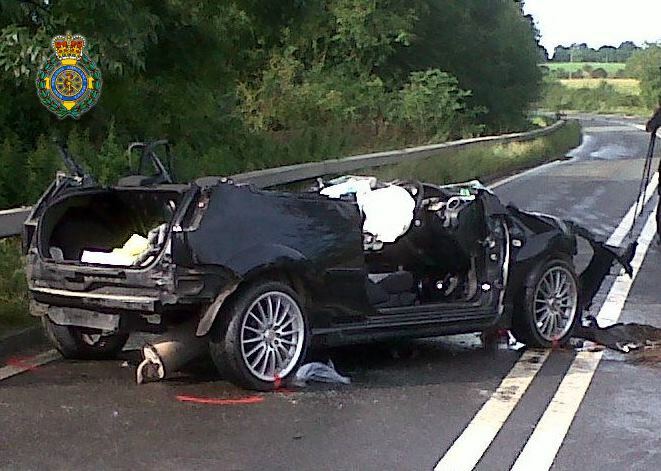 “The crash occurred on the A429, near Charelcote at around 8.30am. A rapid response vehicle, an ambulance, a paramedic officer and the Warwickshire and Northamptonshire Air Ambulance attended the scene. A West Midlands Ambulance Service spokesman said: “Crews arrived to find a motorcycle and a pick-up style truck that had been in a significant collision. It appears once the motorcyclist had become separated from his bike that he had travelled a considerable distance along the ground. “The man, believed to be in his 40’s, was treated for a shoulder injury and a dislocated knee and also received pain relief. The man’s knee was put back in place at the scene by medics and he was airlifted to University Hospital Coventry and Warwickshire for further treatment. Tuesday 19th August 2014 – 10.20am – John Hawker. The driver of a car has been trapped in her vehicle for over an hour after an RTC in Stoke on Trent this morning. The crash occurred on Star Bank, Oakamoor at around 7.55am. A community first responder, an ambulance, a paramedic officer, a BASICS Doctor and the Midlands Air Ambulance from Cosford attended the scene. 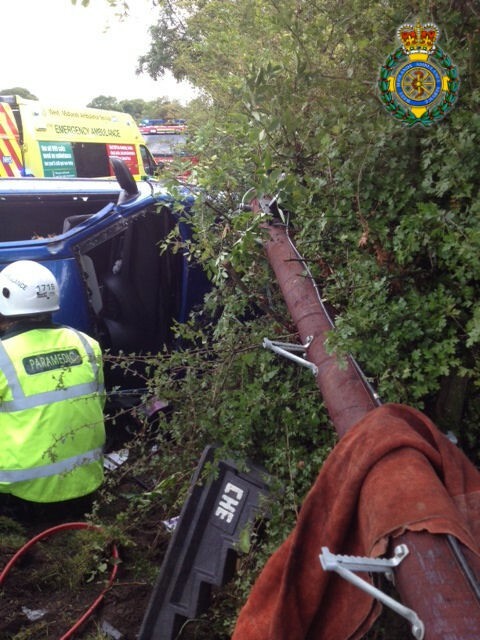 A West Midlands Ambulance Service spokesman said: “Crews arrived to find a car that had left the road and been in collision with a telegraph pole. The car had suffered significant damage and the driver was trapped in the vehicle. “The woman, believed to be in her mid 20’s, received emergency treatment whilst still in the vehicle. Ambulance crews worked with the fire service to ensure she was safely cut free from the wreckage of the crash. She was trapped for around 75 minutes in total. “The woman suffered multiple injuries in the crash, including leg, shoulder and facial injuries. She received emergency treatment at the scene and was airlifted to University Hospital North Staffordshire for further emergency treatment. Thankfully the woman injuries were not considered life threatening. Monday 18th August 2014 – 2.10pm – Steve Parry. 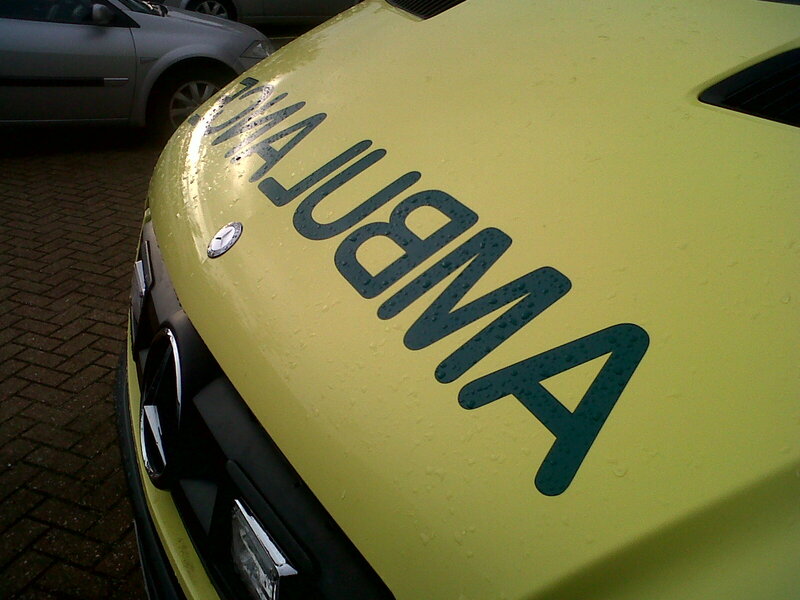 Seven people have been assessed by ambulance staff following a road traffic collision in Walsall this afternoon. West Midlands Ambulance Service was called to the incident at the junction of Lazy Hill and Chester Road at just before 12.15pm. Three ambulances, a paramedic officer and the Midlands Air Ambulance from Cosford attended the scene. A West Midlands Ambulance Service spokesman said: “Crews responded to a road traffic incident involving three vehicles in Walsall. “An elderly couple travelling in one of the cars involved was trapped in their vehicle. A woman passenger, believed to be in her eighties, was treated for chest injuries. She was transferred to the Queen Elizabeth Hospital by land ambulance. A doctor from the air ambulance travelled with the patient. “The driver of the car, a man in his eighties, was treated for chest and back pain and conveyed to Walsall Manor Hospital. Monday 18th August 2014 – 8am – Steve Parry. As of this morning, 850 people have been treated by on-site medical staff at V Festival at Weston Park during the weekend. Since the gates opened, on-site ambulance crews have been called out 850 times and a total of 18 people have been taken to hospital. Two incidents of note were reported yesterday and overnight. A man in his twenties was airlifted to hospital after he suffered a back injury. A man received minor injuries following a fire on site. The medical cover for the festival has been provided by a team of almost 300 staff and volunteers from West Midlands Ambulance Service, Venture Event Medical Management and St. John Ambulance. 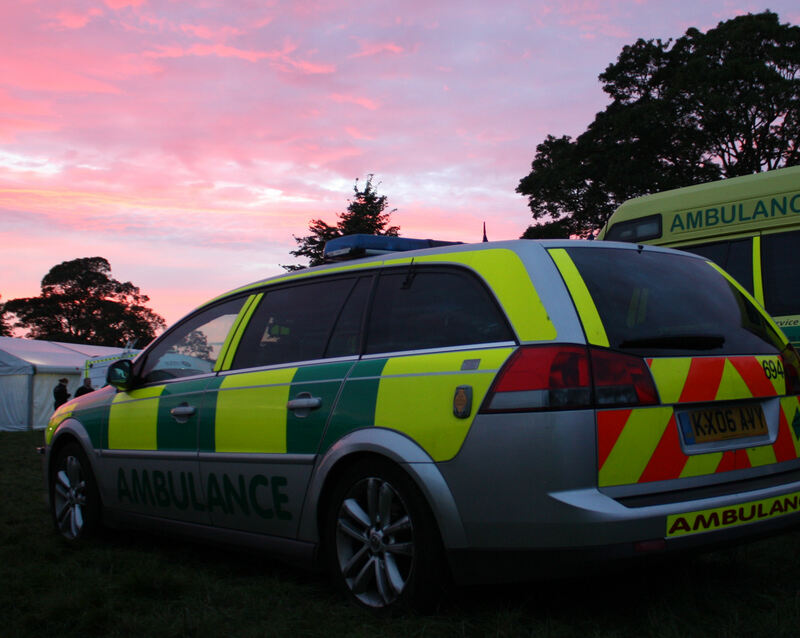 The team has been operating a medical centre on site, along with a command and control centre which has co-ordinated ambulances and other medical staff who have been stationed within the main arena and in the campsite areas. A West Midlands Ambulance Service spokesman said: “This year, many of the patients were treated for medical issues and many already had pre-existing medical conditions. “With thousands of people all in one place, it’s always expected that some people will fall ill and require medical help. At Weston Park, the team of almost 300 staff and volunteers were on hand and have worked extremely hard to ensure every patient is given the very best treatment. The staff and volunteers will continue to remain on site all day today, until the last of the campers have left. Monday 18th August 2014 – 7.45am – Steve Parry. A man in his thirties has been taken to hospital after falling down an embankment at a Black Country nature reserve yesterday afternoon. West Midlands Ambulance Service was called to an incident at the Wren’s Nest Nature Reserve near Mayfield Road at 5.15pm. Two ambulances, a paramedic officer; a community paramedic and the Hazardous Area Response Team (HART) attended the scene. A West Midlands Ambulance Service spokesman said: “Bystanders alerted ambulance services to a man who had fallen down an embankment at the Wren’s Nest Nature Park. “Crews located the man twenty foot down a steep slope and treated him for back and abdominal injuries. A man has died and three other patients assessed by ambulance staff following a road traffic collision in Shirley this afternoon. West Midlands Ambulance Service was called to the incident near the junction of Bills Lane and Langcombe Road at approximately 2.45pm. Two ambulances together with a paramedic in a rapid response car; a community paramedic and the Midlands Air Ambulance from Cosford attended the scene. A West Midlands Ambulance Service spokesman said: “Crews attended a road traffic collision involving a car and small van. “A child travelling in the same vehicle was treated for head and abdominal injuries. He was anaesthetised by a doctor before being taken to Birmingham Children’s Hospital. West Midlands Ambulance Service can confirm it was called to railway lines near Lee Hall station, Kitts Green at 11am this morning. A paramedic in a rapid response vehicle attended the incident. Sunday 17th August 2014 – 2pm – Steve Parry. A motorcyclist has been taken to hospital following a road traffic collision near Lichfield this morning. West Midlands Ambulance Service was called to Birmingham Road, Shenstone at 11am. Two air ambulances and three ambulances attended the scene. 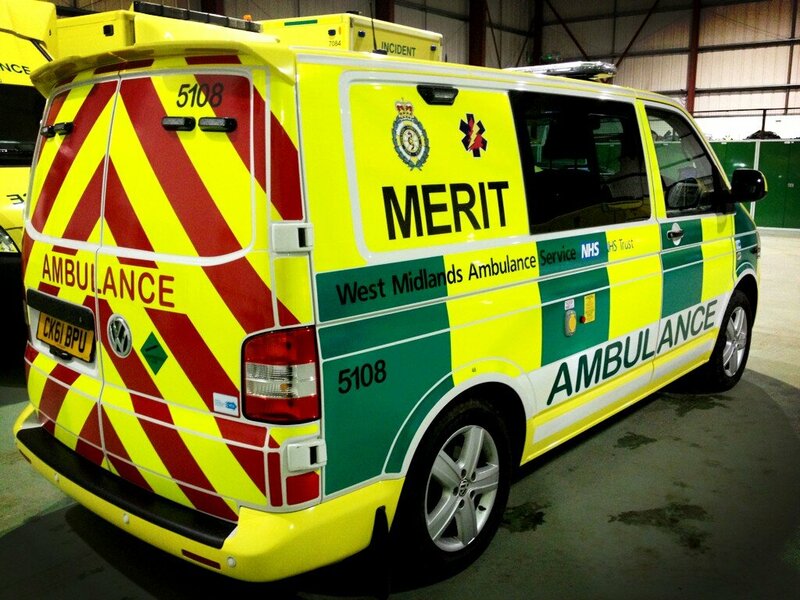 A West Midlands Ambulance Service spokesman said: “Crews responded to a collision between a car and motorbike. The biker was found to be trapped underneath the car and had to be extricated by emergency services. .
“Crews treated a male motorcyclist, believed to be in his fifties, for serious leg and wrist injuries. The patient was immobilised with the use of a neck collar, splint and spinal board. He was also given pain relief before being conveyed to the Queen Elizabeth Hospital. The organisations are operating a medical centre and stage side first aid posts, which since the gates of Weston Park opened, has treated 483 patients. A total of 10 people have been taken to hospital. They include people who have suffered minor injuries and also several with pre-existing medical conditions. One man in his sixties was treated for chest pain and was airlifted to a nearby hospital for further treatment. 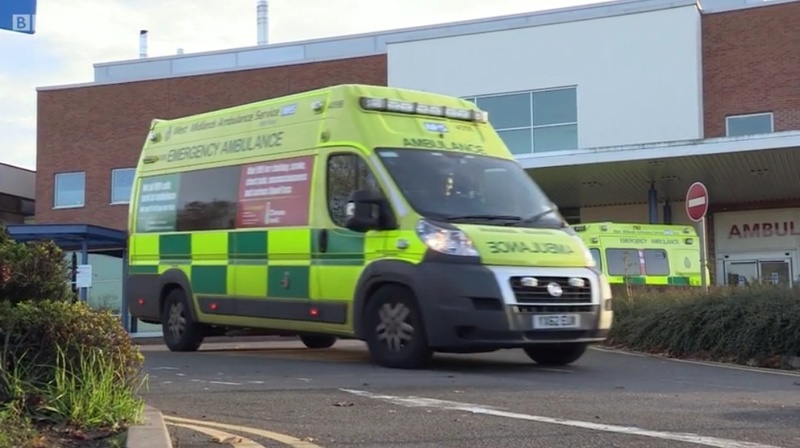 A West Midlands Ambulance Service spokesman said: “Doctors, nurses, paramedics, technicians, managers, first aiders, control room staff and logistics staff are on hand to make sure that if you are unfortunate enough to fall ill, help won’t be far away. In most cases, a visit to hospital isn’t required and after treatment revellers are able to continue enjoying the event. So far, the majority of the patients have been treated for minor medical issues, many already had pre-existing medical conditions. Saturday 16th August 2014 – 5.45 pm – Steve Parry. Seven people have been assessed by ambulance staff at the scene of a two car collision on the M6 near Great Barr in Birmingham this afternoon. 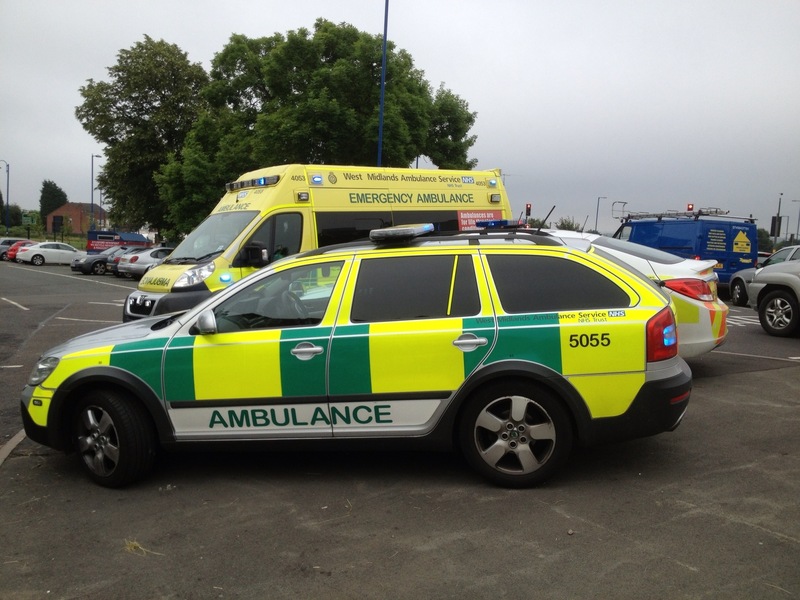 West Midlands Ambulance Service was called to the M6, junction 7 northbound, at just after 2pm. A West Midlands Ambulance Service spokesman said: “Ambulance crews responded to a road traffic collision involving two vehicles. Three patients in one of the vehicles were assessed at the scene and later released. 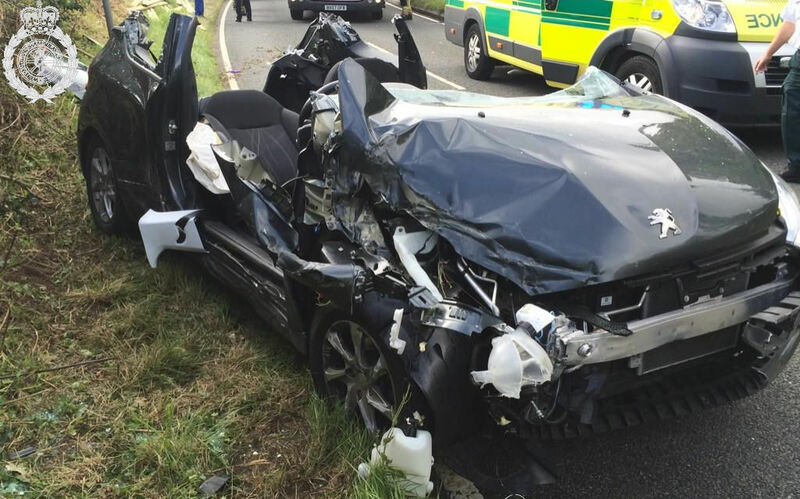 “Four patients travelling in the second car were initially treated at the scene. A male driver received chest injuries. A female passenger, believed to be in her thirties received facial, arm, back and abdominal injuries. “Two young children, a male and female, received minor injuries. The organisations’ staff and volunteers, of which there are almost 300, are operating a medical centre on site, along with a command and control centre which is co-ordinating ambulances and other medical staff who are stationed within the main arena and in the campsite areas. They are on hand to assess and treat anyone who should become ill or injured during the weekend. 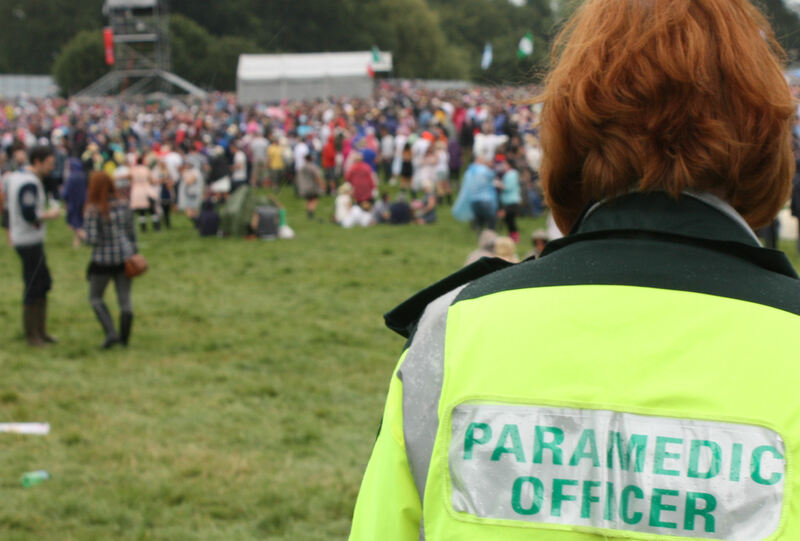 The doctors, nurses, paramedics, technicians, first aiders, control room staff and logistics staff provide first-class medical services onsite for the thousands of festival goers, making it one of the safest festivals in the country. “So far, 101 people have been treated at the on-site medical centre collectively by St. John Ambulance volunteers and West Midlands Ambulance Service staff. “On-site ambulance crews around Weston Park tended to a further 20 patients with only 2 patients requiring further hospital treatment. “If you’re heading there today, it’s really important that you don’t forget your wellies as it’s muddy underfoot on site. With the weather forecast predicting more showers today appropriate footwear is essential to reduce the risk of injury through a preventable trip or fall. Friday 15th August 2014 – 7.45pm – Steve Parry. 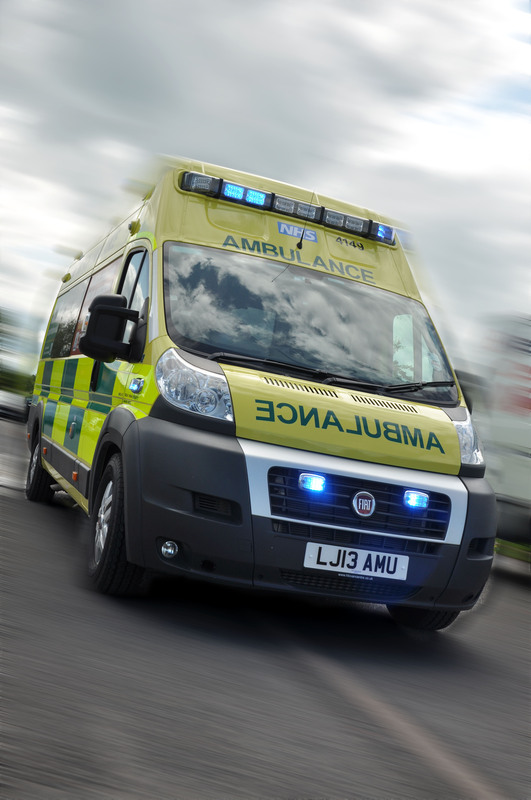 Four people have been taken to hospital following a road traffic collision near Market Drayton this afternoon. West Midlands Ambulance Service was called to the A41 near Ashford at just after 4.30pm. Three ambulances; a paramedic officer; a community paramedic and the Midlands Air Ambulance from Cosford attended the scene. A West Midlands Ambulance Service spokesman said: “Crews arrived to find two cars and a lorry had collided. “A male car driver believed to be in his fifties was trapped in his vehicle. He was treated for a head injury and was immobilised with the use of a neck collar and spinal board. The patient was anesthetised by a doctor before being airlifted to the University Hospital of North Staffordshire. “A female passenger in the car received minor injuries and was taken by land ambulance to Princess Royal Hospital. “Two passengers in the second car involved were also treated at the scene. A male in his thirties received neck, head and chest injuries. He was anesthetised and taken by land ambulance to the University Hospital of North Staffordshire. “A second male passenger received minor injuries and was taken to the Royal Shrewsbury Hospital for further assessment and treatment. Friday 15th August 2014 – 3.15pm – Steve Parry. West Midlands Ambulance Service can confirm ambulance crews attended to a patient at a property in the Jewellery Quarter earlier this morning. 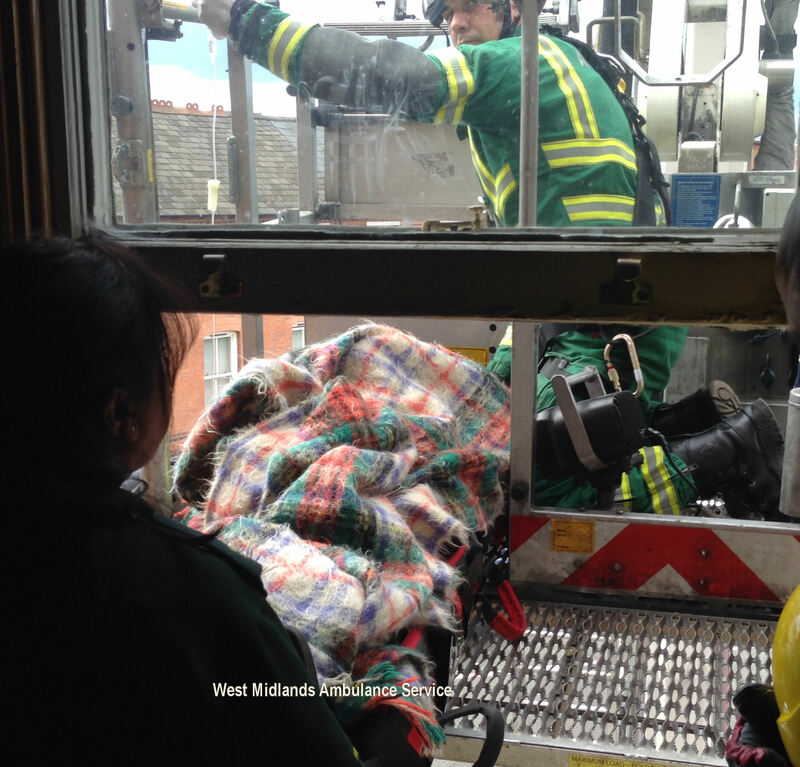 Due to safety issues at the property the patient, who had become unwell, was removed through an upstairs window. Ambulance and fire crews worked together to bring the patient to the ground floor whilst police cordoned off nearby streets. The patient was eventually transferred to a nearby hospital for further treatment. Thursday 14th August 2014 – 10.35pm – Steve Parry. A man has been rescued from the Grand Union canal in the Acocks Green area of Birmingham this evening. West Midlands Ambulance Service was called to Golden Hillocks Road, near the Acker Adventure Centre in Sparkbrook, at approximately 8.25pm. One ambulance, together with a paramedic officer and the Hazardous Area Response Team (HART) attended the scene. They joined other emergency service personnel, bystanders and staff from the nearby Ackers centre to locate the patient. A West Midlands Ambulance Service spokesman said: “Crews attended an incident involving a man who had fallen into the canal. Apparently, he was unable to swim and quickly found himself in difficulty. “Arriving ambulance and police officers immediately entered the canal to rescue the man and bring him to the water’s edge. “The man, who was believed to be in his twenties, was found to be in cardiac arrest. Resuscitation efforts by ambulance staff on scene successfully restarted the man’s heart and he was taken by land ambulance on blue lights to Hartlands Hospital. A couple are ‘extremely fortunate’ to have escaped a serious fire at a flat in Tipton late last night. West Midlands Ambulance Service was called to Tissimore Drive, Tipton at just after 11.30pm (Wednesday). Two ambulances together with a paramedic officer; the Hazardous Area Response Team (HART) and the Merit team, which included a doctor, attended the scene. A West Midlands Ambulance Service spokesman said: “Crews arrived on scene to find a property already well ablaze. “Two people, believed to be in their thirties, had apparently jumped to safety from a third floor window. “A woman was treated for smoke inhalation and conveyed to the Queen Elizabeth Hospital for further assessment and treatment. Wednesday 13th August 2014 – 4.50pm – Claire Brown. A man has died after suffering a cardiac arrest whilst playing golf at a club in Birmingham. West Midlands Ambulance Service was called to Harborne Golf Club in Tennal Road, Harborne, shortly before 11.00am this morning (Wednesday). An ambulance, a paramedic area support officer, a responder paramedic and the Midlands Air Ambulance from Strensham were sent to the scene. Officers from West Midlands Police also attended to offer assistance. A West Midlands Ambulance Service spokeswoman said: “Upon arrival crews found bystanders administering CPR on man who had collapsed after suffering a cardiac arrest on the third hole. “Ambulance staff quickly took over resuscitation efforts. They continued advanced life support on scene before conveying the man, under blue light conditions, to Queen Elizabeth Hospital Birmingham. Wednesday 13th August 2014 – 4.15pm – Murray MacGregor. West Midlands Ambulance Service has thrown weight behind a medical trial that could lead to many more patients surviving a cardiac arrest. Whilst the numbers of people who suffer a cardiac arrest are relatively small, the survival rate for an out of hospital cardiac arrest is very low at around 8%. While current guidelines used by all ambulance services in Britain recommends giving adrenalin during resuscitation, there are concerns that the drug may cause severe brain damage and may not help overall survival at all. Trust medical Director, Dr Andy Carson, said: “Although adrenaline has been used for many years in cardiac arrest management, there is growing evidence that it may result in poorer outcomes for patients, hence the need for a trial. “We know that a number of survivors of cardiac arrest suffer from brain damage due to a lack of oxygen. Developments in brain imaging are now suggesting that the use of adrenaline, whilst helping to restart the heart, may cause more harm than good, as it is known to cause brain damage in a number of cases. “Cardiopulmonary resuscitation (CPR) and defibrillation will still be used as normal in the treatment of cardiac arrest. “We have a history of close working with the Warwick Clinical Trials Unit, who are undertaking the study, and half of the ambulance services in the Country are taking part. “Unfortunately, there have been a number of misunderstandings about the trial which have led to unnecessary concern for a number of patients. “It is therefore important to note that patients with other conditions requiring adrenaline, such as anaphylaxis, will continue to receive the adrenaline that they need. To not do so would put these patients at high risk. “Equally, this study won’t alter the care of patients with heart attacks, as adrenaline is not used in their treatment. Wednesday 13th August 2014 – 3.00pm – Claire Brown. 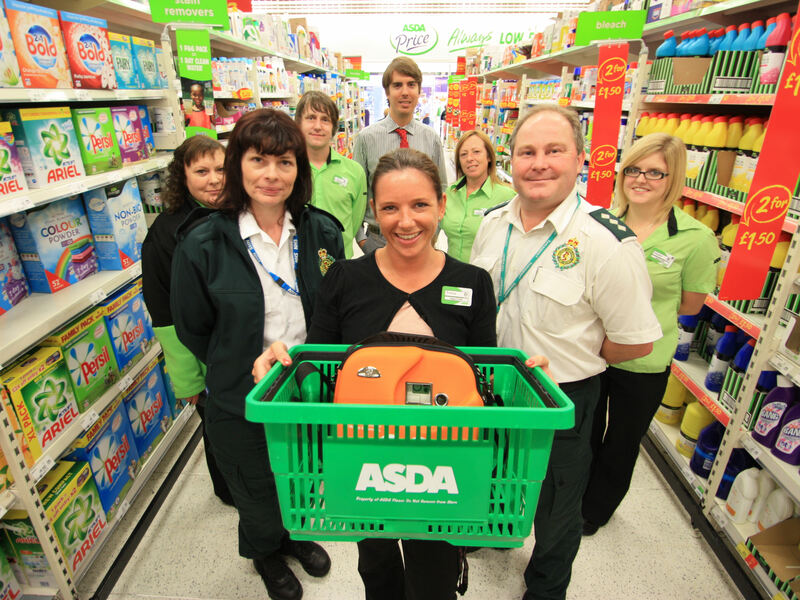 If you shop and sadly drop, you’re in safe hands in ASDA Merry Hill thanks to a life-saving addition to the store. Anne Foley, the Trust’s Community Defibrillator Facilitator, has been training ASDA staff in all 14 stores in the Black Country. Tuesday (12th August) marked the final phase in the Black Country project when the defibrillator went live in ASDA in Merry Hill, Dudley. Andy Jeynes, the Trust’s Community Response Manager, said: “Anne has worked really hard to get all 14 stores up and running with their new defibrillators. Notes to Editor: Pictured (FRONT left to right): Anne Foley, Emma James and Andy Jeynes. (BACK left to right): Sharon Smith, Nikki Smith, Javier Llodraz-Beldra, Lisa Dunn and Hayley Priest. Wednesday 13th August 2014 – 11.30am – Suzie Wheaton. 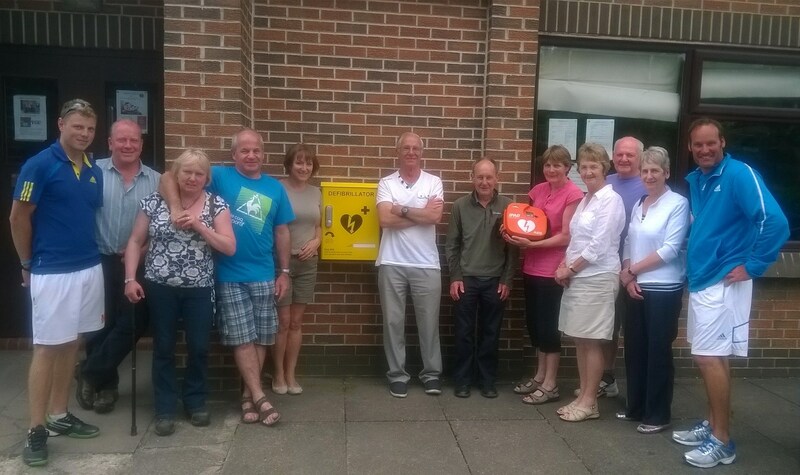 A number of sporting clubs within Staffordshire have recently scored defibrillators*. Beau Desert Golf Club in Cannock, Darnford Moors Golf Club in Lichfield and Stone Tennis Club have all been working in conjunction with West Midlands Ambulance Service to ensure that staff, club members and visitors to their facilities have the best chance of survival should they become critically ill.
One of the most high profile cardiac arrests in recent years was sporting star, Fabrice Muamba, proving that cardiac arrests can happen to anyone at any time. Eighty-five percent of those people who suffer a cardiac arrest have the ability to be corrected by defibrillation. The quicker CPR is carried out and a defibrillator is applied, not only improves the chance of their survival but it can also help to improve the chances of a patient’s full recovery and reduce the time to do so. For every minute a patient is in cardiac arrest, their chance of survival decreases by 10 percent. WMAS Community Response Manager, Matt Heward said: “The ambulance service strongly believes that by having defibrillators installed in public places, such as sporting clubs, schools and business premises, and having people trained in their use and basic first aid techniques really can help to save lives. *Defibrillators are devices that are used to restart someones heart. Stone Tennis Club: Club members and representatives of organisations who use the club. Wednesday 13th August 2014 – 9am – Chris Kowalik. A trauma doctor has spoken of his anger after a laser beam was pointed at the air ambulance he was in as they flew an injured van driver to hospital. Trauma Doctor and Clinical Lead for the Midlands Air Ambulance Nick Crombie, who was on a night shift with the MERIT trauma team with West Midlands Ambulance Service on the night of Monday 11th August, was accompanying the aircrew of the Midlands Air Ambulance from Staffordshire with the injured man after a road traffic collision on the A429 near Ettington (press release entitled “FIVE INJURED ON A429” issued at 10pm on Monday 11th August refers). They were flying him to University Hospital Coventry and Warwickshire when they noticed the beam following their craft. Nick said: “We had been to a car crash that left five people injured. 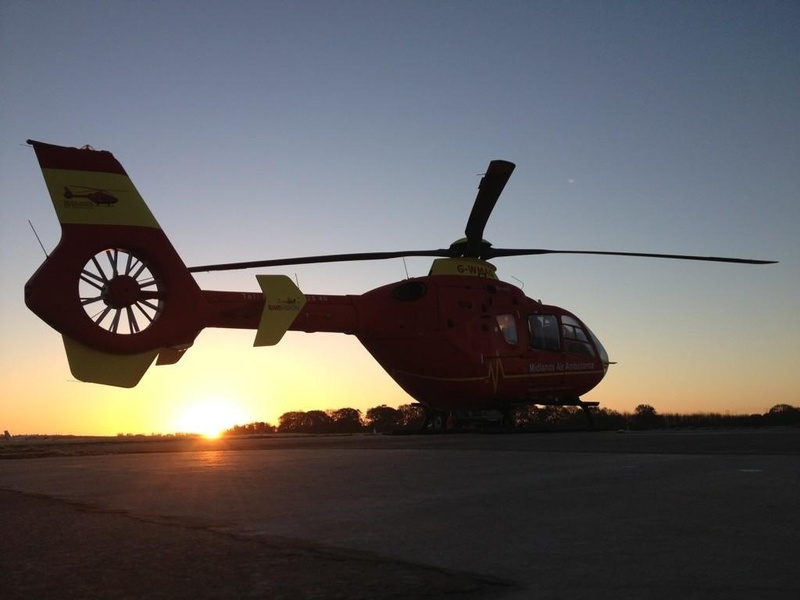 Even though it was quite late and dark, we were still able to fly the most seriously injured to hospital. “As we flew over Warwick at a height of more than 1,200ft, a laser was pointed at the aircraft. “Fortunately for us, the pilot is highly experienced and dealt with it. But, had the laser caught anyone’s eye albeit briefly, it can lead to blindness for at least ten minutes and a loss of spatial awareness. “Had we not taken action and avoided being been dazzled, it would have prevented us landing until the visual effects had settled, delaying treatment of the casualty. It has the same effect as deliberately slowing down an ambulance en-route to hospital.